Queenstown is located in the southern lakes region of the South Island of New Zealand. Surrounded by breathtaking mountains and crystal clear Lake Wakatipu, Queenstown is famous for its spectacular scenery, four distinct seasons and world-class activities and attractions. In the tourist town of Queenstown, you can enjoy amazing beauty and adrenaline-charged emotions: outdoor enthusiasts flock to Queenstown en masse for kayaking, bungee jumping, jetboating, rafting, hiking and skiing. More affable adventurers can take a leisurely cruise through nearby Milford Sound, part of the World Heritage area of ​​the Fjordland National Park, or try the Pinot Noir from the South Island in one of the over seventy wineries in the region. Queenstown may be known as the kiwi capital of extreme activities, but there is definitely more to Queenstown than bungy jumping and speedboats. The city is on the edge of impressive mountain ranges and there are hikes in the surroundings for all tastes. In winter, Coronet Peak and the Remarkables range offer some of the best skiing spots in the country. 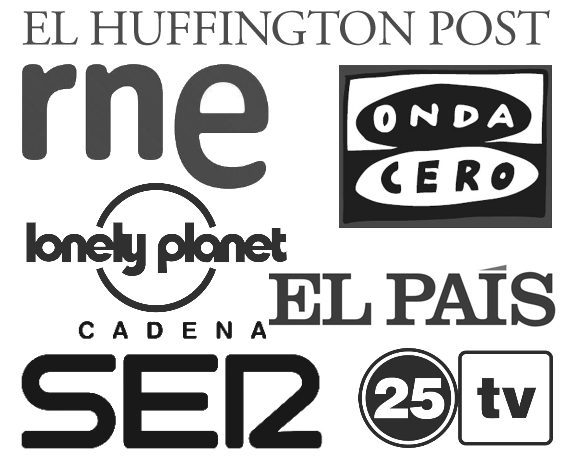 In the centre of the city there is a lot of nightlife and gastronomic options. The region around Queenstown is characterized by its rugged mountains, deep canyons, wild waterfall rivers, crystal clear lakes, rainforest, meadows and fresh mountain air; In short, this region is one of the best wonders of New Zealand nature. 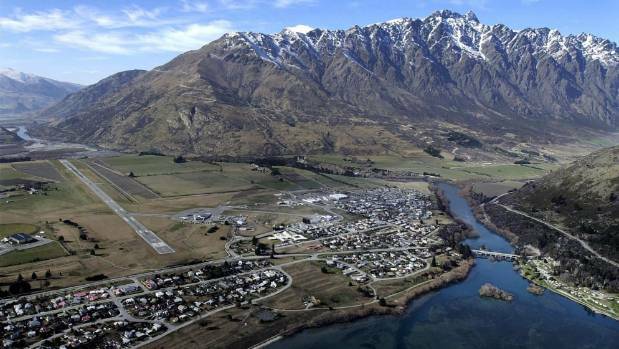 Queenstown is 483 km from Christchurch, 5 hours and a half by car or 50 minutes by plane. This is a list with the best places to stay in Queenstown and its surroundings. Queenstown lies on the shores of Lake Wakatipu and is surrounded by the Southern Alps. 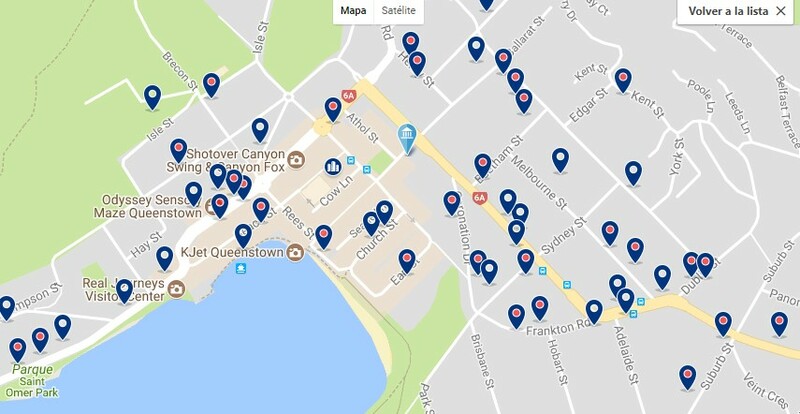 Visitors attracted by the excellent Queenstown nightlife may prefer a location in the CBD (Central Business District), with easy access to the 50 or so Queenstown bars. Queenstown is a city to party during the high seasons. If you plan to sleep well at night, then you might consider staying a little out of town. It is common to see people in the street until 05:00, returning from the pub or nightclub. The spectacular mountain scenery and Lake Wakatipu dominate the view from many parts of the city. Most attractions in Queenstown make the most of the views. It’s enough reason to spend time in Queenstown if you choose not to do anything else. The city centre contains many souvenir shops, although the prices are usually high. 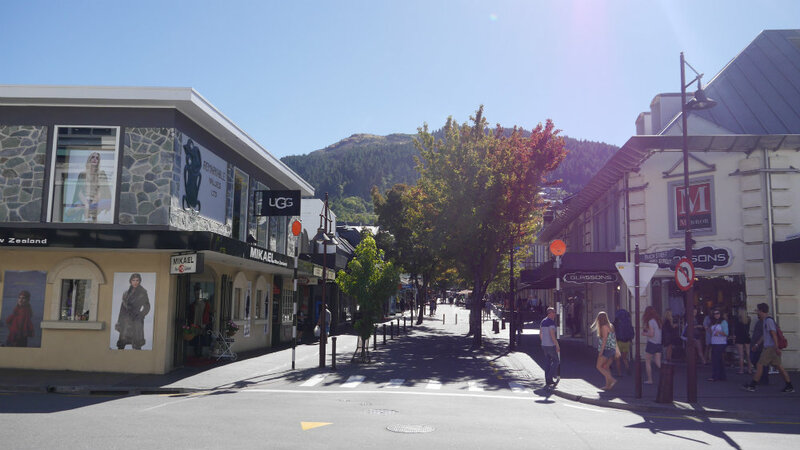 Top quality knitwear, sheepskin and possum products (arboreal marsupials appreciated for their fur), greenstone and bone carvings and fine wines from New Zealand are some of the typical products of Queenstown. Providers gear for outdoor activities are abundant, with equipment for hikers, mountain bikers, skiers and snowboarders, and many others who use Queenstown as a base for expeditions to nearby national parks. There is a wide variety of food establishments in Queenstown, from takeaways to fine dining. Fine restaurants serve excellent seafood (local mussels, oysters and deep-sea fish such as blue cod), game meat, red meat (farm deer, lamb and veal). 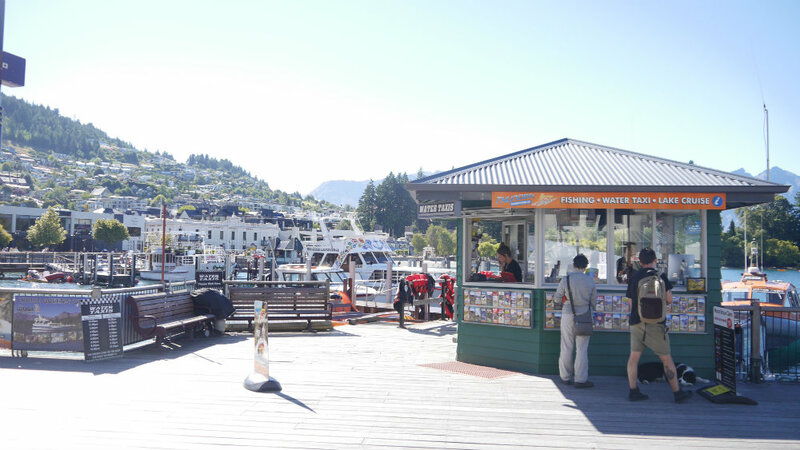 The CBD is the best place to stay in Queenstown for those who want to use the city as a base to explore the Otago region and for visitors who do not have their own vehicle and prefer to hire local tours. Nomads Queenstown has an ideal location in the center of Queenstown, the famous resort town of the South Island of New Zealand. This hostel is designed for all budgets, but is specially designed for backpackers. – from NZD 160. Novotel Queenstown Lakeside is located by Lake Wakatipu, just a 1-minute walk from many shops, restaurants and nightlife and activities. Its modern rooms offer spectacular views of the mountains and the lake. – from NZD 399. Fernhill is one of the suburbs that make up Queenstown. 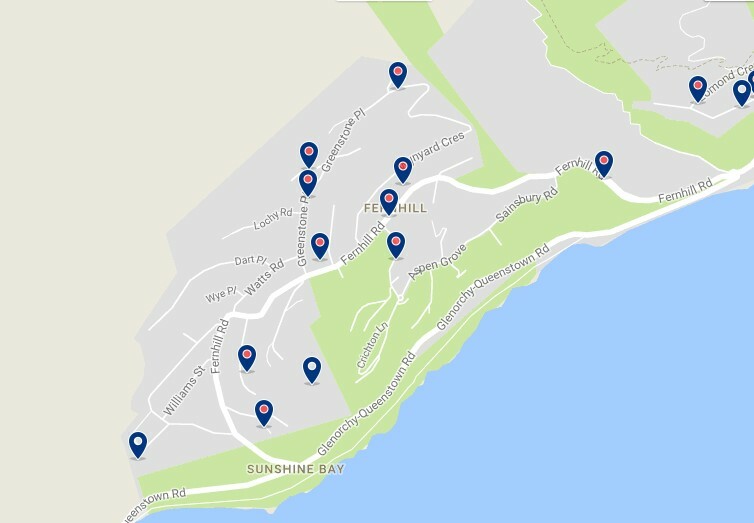 Fernhill is located on the lower slopes of Ben Lomond Mountain, west of Queenstown CBD and accessed via Fernhill Road, which starts at the One Mile roundabout. Fernhill is mostly a residential area, but also offers several hotels that range from backpacker-friendly accommodation to resort-style hotels. It also has a commercial area. Fernhill is one of the best places to stay in Queenstown if you are looking for a more relaxed atmosphere and spectacular views of Lake Wakatipu. It is also an excellent area for trekking lovers. From this area there are a number of trails for walking or biking, the Arawata Terrace Track from Arawata Terrace to Queenstown-Glenorchy Road, the Fernhill Town Link Track connects Cameron Place with Thompson Street near Queenstown, or the Fernhill Loop Track leads to the Ben Lomond Reserve. 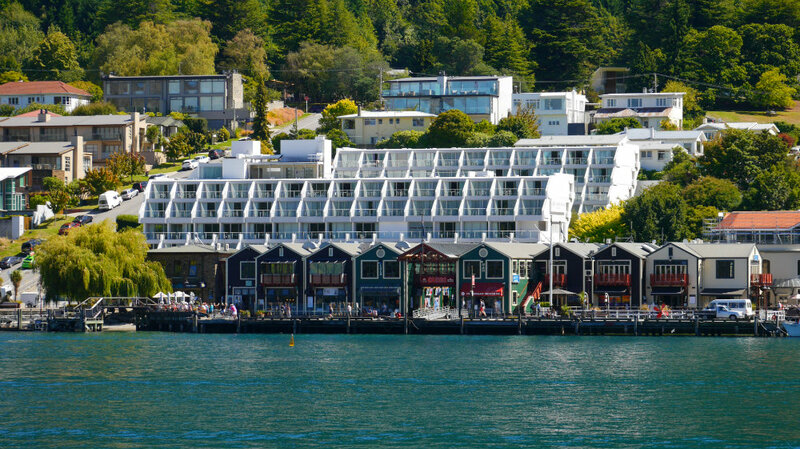 Heritage Queenstown is located just outside the lively center of the town and offers stunning views of Lake Wakatipu. It has an indoor / outdoor heated pool and has an elegant restaurant. – from NZD 399. Kelvin Heights is located south of Queenstown’s Central Business District. 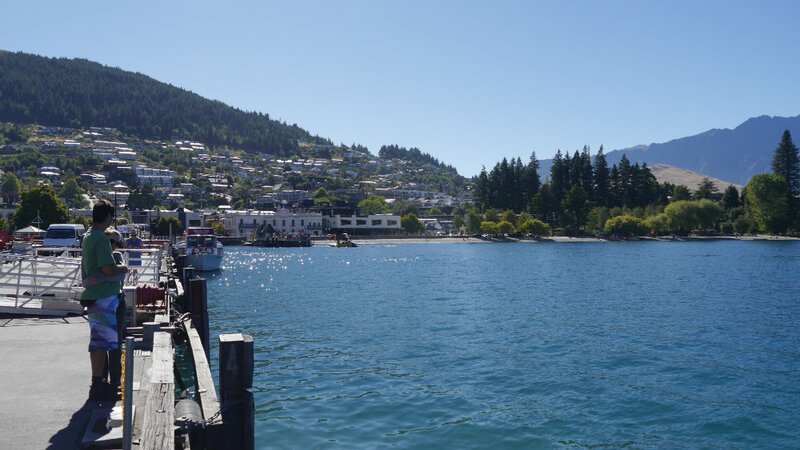 Also known as Kelvin Peninsula, this suburb of the city of Queenstown is one of the greenest areas in the city. Most of the buildings in this neighborhood are near Peninsula Road and are at the base of Peninsula Hill. It is one of the most expensive suburbs in New Zealand in which to buy a house, which makes this part of town a refined area to stay. A part of the Queenstown Trail, which runs between the suburb and the Frankton Arm section of Lake Wakatipu goes through Kelvin Heights. It also has a golf course. It is an excellent area to stay in Queenstown for those seeking a luxurious vacation away from the hustle and bustle of the city centre. Hilton Queenstown Resort & Spa, a 5-star hotel, is located on the shores of Lake Wakatipu and features an indoor pool, fitness center and day spa. The establishment offers elegant rooms and suites with a gas fireplace.. – from NZD 399. Frankton is a suburb of the city of Queenstown on the South Island of New Zealand. Frankton is located at the end of a large cove on the northeast coast of Lake Wakatipu known as Frankton Arm, which runs along State Highway 6, about 7 kilometers east of Queenstown. The Queenstown airport is located in Frankton. This airport offers direct international flights to Australia and domestic flights to several points of the North and South Islands of New Zealand. Remarkables Park Town Center is a commercial center located in Frankton, and serves as the main commercial area for the residents of Queenstown. 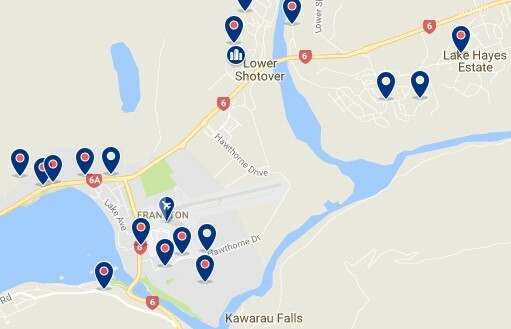 Frankton is a good suburb to stay in Queenstown if you are looking to be close to the airport. Queenstown Family House is located in Queenstown. Free WiFi available. All rooms have access to a shared kitchen area and a living room shared with other guests. – from NZD 150. Queenstown Hill, also known by its Maori name Te Tapu-nui (mountain of intense sacredness), is a small mountain of 907 meters near Queenstown, New Zealand. The lower levels of the hill contain houses, especially near Queenstown, Frankton Road and Marina Heights. Halfway up the hill there is a large forest of douglas and larch type fir trees, while the upper part is mostly bare and the ground cover is of low bushes and native vegetation. The Time Walk is a walk through Queenstown Hill that was created to commemorate the new millennium in the year 2000. The entrance to the trail is in Belfast Terrace. At the beginning of the walk there is a wrought iron gate that shows local symbols of the area. There are many panels along the walk that describe the history of the area. The walk takes approximately three hours, but it can be shortened if you do not cover the entire circuit. Alpine Suites offers rooms with views of the mountains and the lake. Guests can enjoy the games room that has a pool table, board games and a bar. – from NZD 267.